Orbital Sciences Corporation announced in May 2008 that it has signed a contract with Thales Alenia Space of France to supply its STAR satellite platform and carry out final spacecraft, payload and system integration and testing for the Koreasat 6 commercial communications satellite to be built for KT Corporation of the Republic of Korea. After succesfully reaching orbit, the satellite was renamed Olleh 1. The spacecraft's engineering, manufacturing, integration and test activities will take place at Orbital's satellite manufacturing facility located in Dulles, VA. Thales Alenia Space will act as prime contractor for the project, provide the communications payload and deliver the Koreasat 6 satellite to KT. 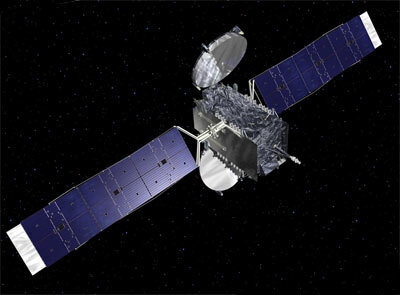 At its final orbital slot at 116 degrees East Longitude, the Koreasat 6 satellite will carry 30 active Ku-Band channels that provide Direct Broadcast Services (DBS) and Fixed Satellite Services (FSS) to the people of Korea. The STAR-2 platform will support 3.4 kilowatts of payload power and will have a 15-year on-orbit mission life. Koreasat 6 was delivered and launched in late 2010.